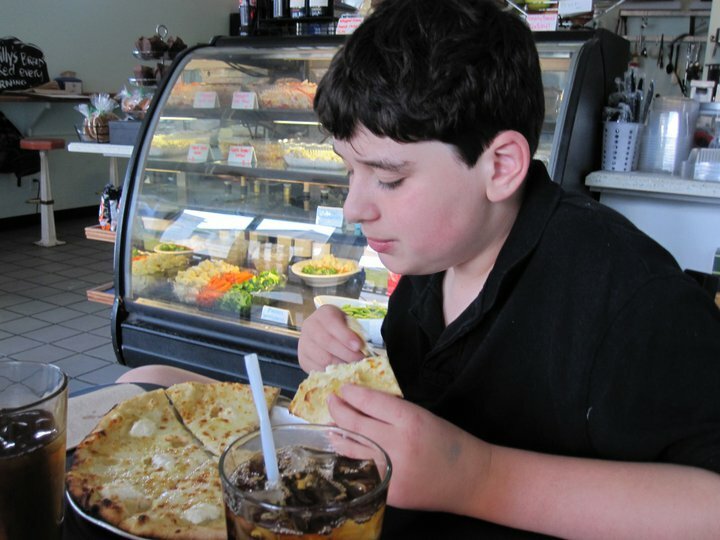 Some children with autism struggle with eating problems and even eating disorders. Tactile sensitivities, medication side effects, low muscle tone, and preference for sameness can be challenging. My son had a strong gag reflex and many children do. There was a time when he threw up almost every day. He had an aversion to napkins. Sometimes, even seeing a napking would make him throw up! He also couldn't stand to watch me eat things he didn't like, like salsa, eggs, or salad. He would throw up. But he outgrew that, as he outgrew many things. Thank goodness! If your child is losing weight, don't hesitate to consult a physician, a special needs dietician, and a speech and language pathologist. They really can help! Adjust seating so that feet touch the floor and knees are at a right angle. Use straws for drinking (but don't use sippy cups, as they interfere with speech development). Try visual contrast, e.g. make a black placemat. Cook and grocery shop with your child. This allows your child to handle food and become comfortable with it, without the pressure of eating it. Try oral motor play and activities, such as blowing bubbles, playing with whistles, and other mouth games. Try weighted pad on lap. Just ignore it for a while :) but not if your child is losing weight.